Some of the data from the forthcoming report is depicted at this site. This is their graph for the trend. 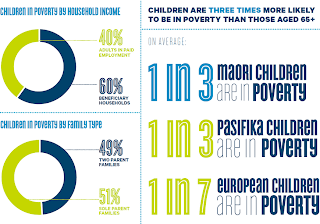 Another graphic shows that 51% of the children in poverty live in single parent families. 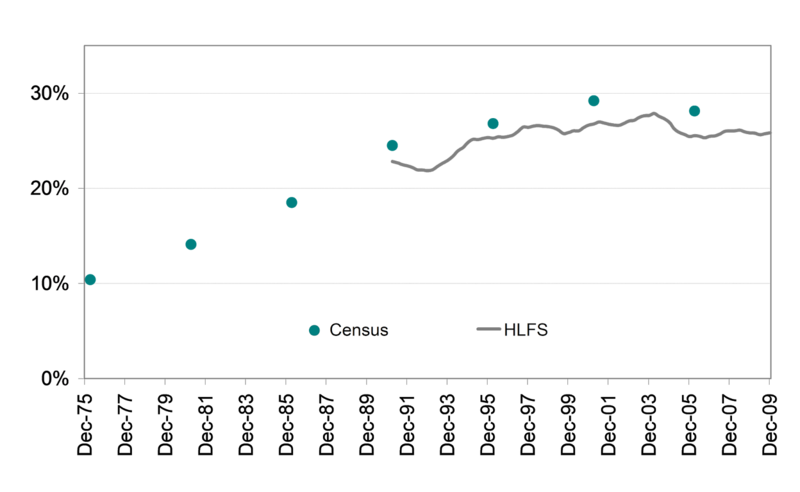 Here's a graph showing the number of single parents families over a similar period. Again, the subsidisation of single parent families has been a major contributor to the growth in the numbers of children living in poverty. And the best answer the Children's Commissioner can come up with is more subsidisation. There will always be a constituency for the Act Party's founding principles of individual freedom, personal responsibility, small government and lower taxes. It does my heart good to see those principles re-stated. Unfortunately the writer goes on to enumerate the many problems that have faced the party over the years and concludes a come-back is unlikely. So the constiuency that "will always be", which I believe is bigger than ACT's best result would indicate, will essentially go unrepresented in parliament? "Child poverty should not exist in this country. Blaming parents is pointless." What or who then should be blamed? A few weeks back I wrote something about this question. It was published on Breaking Views so apologies if you have already seen it. Around two thirds live in benefit-dependent homes; of those, around three quarters live with a sole parent. Yes, there are poor children with working parents but the poverty they experience tends to be temporary versus chronic. Their parents may experience short-term unemployment, or fewer working hours, especially during a recession but poverty is not entrenched. This scenario is quite different to that experienced by children who are born onto a benefit and spend much of their childhood there. More than one in five children in New Zealand will be dependent on a benefit by the end of their birth year. The percentage improves only slightly in good economic times and worsens during bad. Because of the rapidity of the recourse to welfare it can be no surprise to most of their parents that their child would be born into economically difficult circumstances. 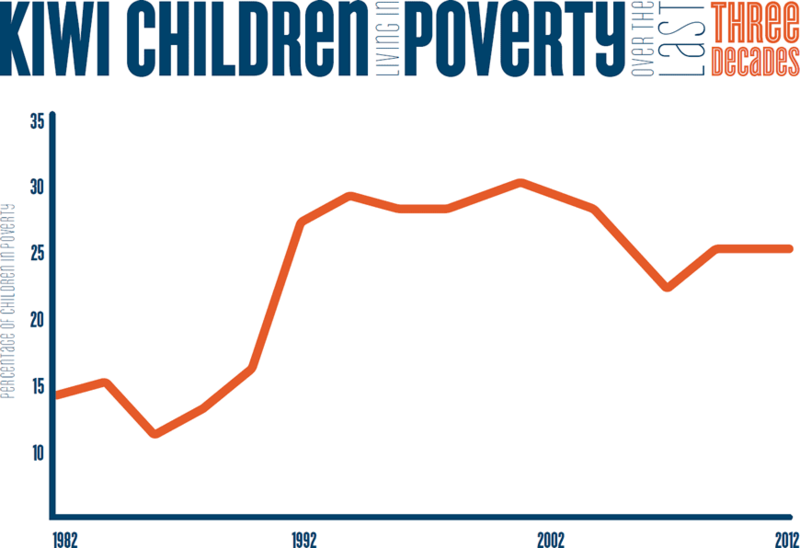 Over the years these children accumulate in the child poverty statistics. As Treasury observes…"around 1 in 5 children will spend more than half of their first 14 years in a household supported by a main benefit." So what began as a fifth of all children born in any given year extends out to become at fifth of all children at any given time. 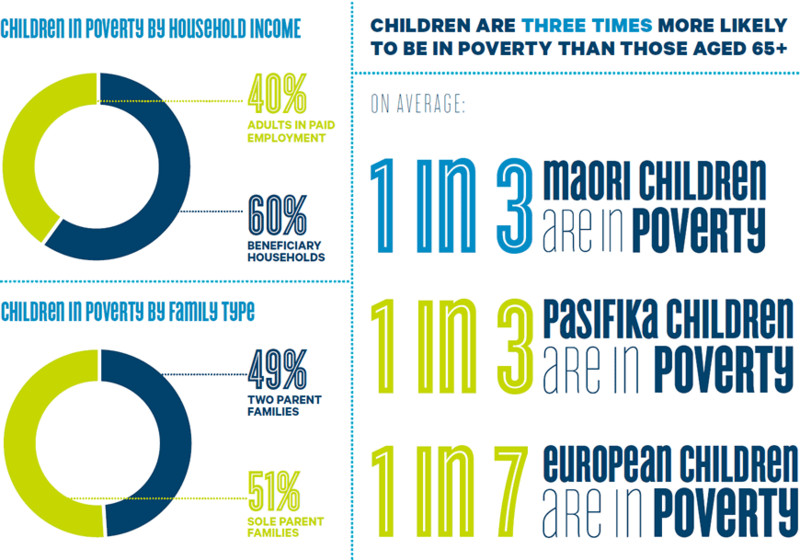 This phenomenon is the main contributor to New Zealand's much publicised child poverty problem. The results of this reproductive pattern of behaviour get discussed broadly, but the behaviour itself is largely ignored. The misdiagnosis of the child poverty affliction leads to the wrong treatment, or at least calls for the wrong treatment. For instance, in 2011 Labour and the Greens both proposed increasing welfare payments by paying the In Work Tax Credit to beneficiary parents. This would produce a short-term effect of increasing incomes but risks drawing more children onto welfare as the gap between wages and benefits, already very narrow, becomes non-existent. Internationally, attempting to reduce poverty via the benefit system has been shown to increase the number of workless households. The solution to child poverty is not increasing the number of children dependent on the state. The current government has taken steps to discourage people from viewing a sole parent benefit as a legitimate alternative source of income to employment. It needs to go further by setting clear time limits and re-framing welfare as emergency assistance. It is nevertheless on a better track towards reducing child poverty than any proposed by the potential alternative government. Trying to achieve economic, and arguably even more important, emotional security for children through the benefit system is like trying to get rich playing the pokies. It's never going to happen.